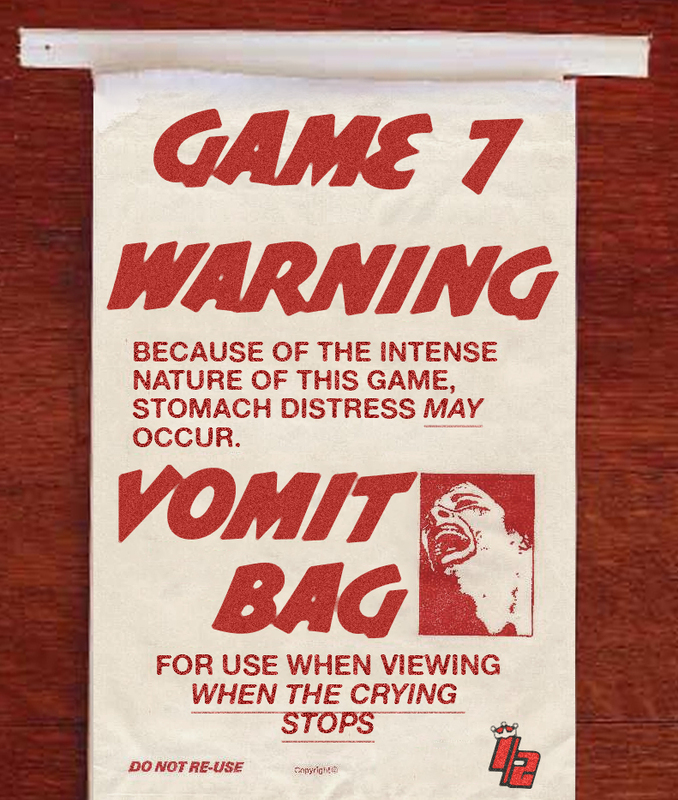 Home / TRH / TRH 2ND ROUND PLAYOFF GAMEDAY 7 – SAN JOSE SHARKS: BARF! TRH 2ND ROUND PLAYOFF GAMEDAY 7 – SAN JOSE SHARKS: BARF! FIRST…. read today's GAMEDAY PREVIEW for tonight's Game 7 (BAAAAARF) between the Los Angeles Kings and the San Jose Sharks. Exclusively on LAKings.com. This will make much more sense once you've read the GAMEDAY PREVIEW. THEN… last Saturday I appeared on The Fourth Period Radio Show on Sirius XM NHL Network to discuss the recent controversy with the LA Kings Twitter Account. I've been on the TFP Radio Show before and it's always a lot of fun. FINALLY… I'm leaving for Game 7 at Staples Center in a few minutes…. BARF CRY BARF CRY BARF BARF CRY. See ya there!